PitchBook’s Company Signals was a new feature released by the company in January 2015. This release was part of an on-going effort to provide PitchBook’s customers with better information on startups, particularly those clients interested in connecting with high-growth, emerging companies. The feature provides a signal score for growth and size – each the result of a combination of social and web metrics. 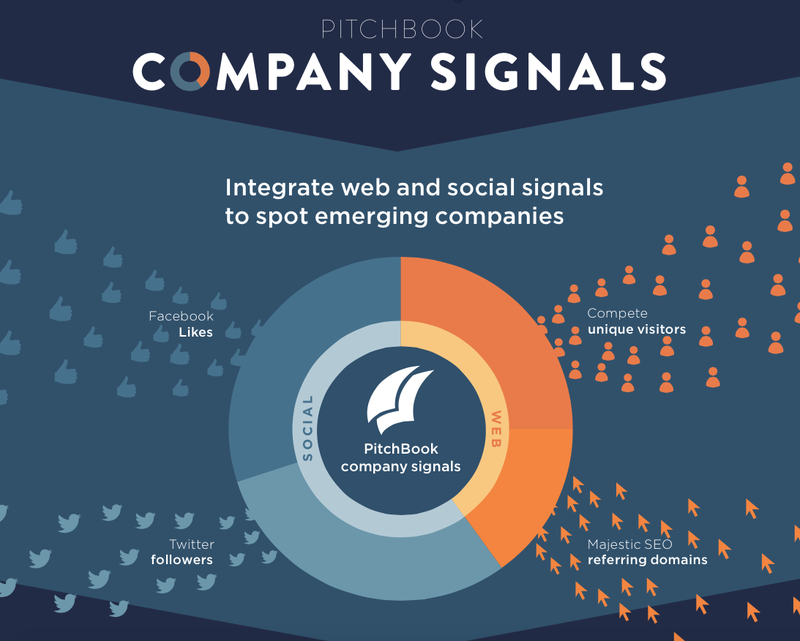 Scope: Developed messaging, positioning and creative concept for PitchBook Company Signals feature launch. Internally, this release didn’t quite go to plan. While PitchBook’s product team had been working on this feature for a great deal of time, PitchBook’s marketing team wasn’t brought in until a week before the release–which happened to fall around the holidays, when many key players were out of the office. The result? A chaotic, uncoordinated cluster of a marketing campaign followed by a beautiful epiphany. PitchBook is experiencing a lot of growing pains. For a while, the company has functioned as a lean, mean startup machine. Now, in 2015, the company employs over 300 people across the globe, they serve 1000 clients and has an aggressive five year growth plan. The Company Signals release was a clear indicator that our starting gun-style of operating needed to be a thing of the past. Once we’d caught our breath, I convened our product, marketing, sales and knowledge development teams to set forth an (albeit, still agile and flexible) product release plan. Our graphic designer, Jennifer, put it into a spiffy-looking excel document and Smartsheet template. We’ll be testing it out for the next couple of months and making adjustments as needed. We know this isn’t a perfect solution, but it’s a start.